Situation Report: Is DARPA’s Phoenix Program Intelligence-Related? ►►DARPA awards team that reassembled shredded documents. The Defense Advanced Research Projects Agency (DARPA), a US government group that funds high-tech military research, has awarded $50,000 to a group of programmers that came up with a way to quickly and effectively piece together shredded documents. ►►Europeans refuse to disclose CIA flight data. A majority of 28 mostly-European countries have failed to comply with freedom of information requests about their involvement in secret CIA flights carrying suspected terrorists, two human rights groups say. London-based Reprieve and Madrid-based Access Info Europe accuse European nations of covering up their complicity in the so-called ‘extraordinary rendition’ program by failing to release flight-traffic data that could show the paths of the planes. ►►Final look at GCHQ’s Cheltenham site. The Oakley site of Government Communications Headquarters (GCHQ), Britain’s signals intelligence agency, is being decommissioned with the last few staff members leaving for the nearby Benhall site, nicknamed ‘the doughnut’. The BBC published an interesting tour of the site, which opened in 1951. 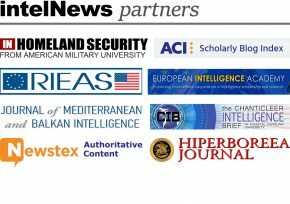 Second spy operation against media revealed in Bulgaria. A few months ago, Bulgarian public opinion was shocked by revelations about Operation GALLERY (a.k.a. Operation GALERIA), a project by Bulgarian State Agency for National Security (DANS) aimed to intimidate the country’s press. Now a second domestic spying program has been discovered by the appropriately named Bulgarian Parliamentary Committee for Controlling DANS. US military cannot analyze surveillance footage influx. The heaps of intelligence footage gathered by US military spy drones and surveillance cameras are already more than analysts can handle. So DARPA, the US military’s research arm, is looking for a software program that will automate the analysis process.